Dimensions 12 ft x 12 ft x 9,5 ft tall. HIGH 5 FIST PUMP AND SINGING..... Trolls castle is able to fit in most halls and gardens. Will help make a perfect troll party.....everyone loves princess poppy right? 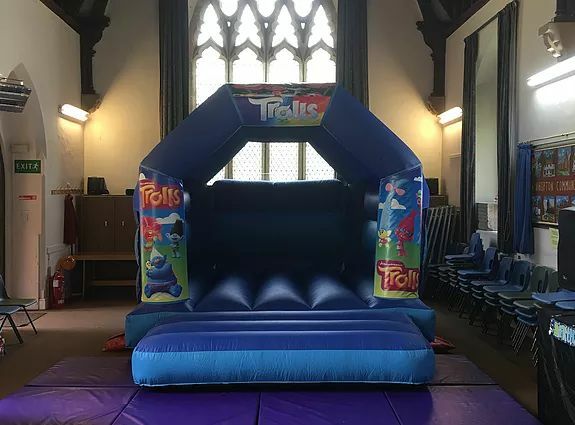 Suitable for trolls up to 1.5m tall.